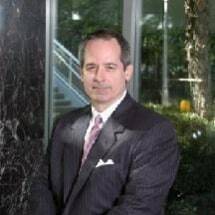 The law office of Ichter Davis, LLC, handles a wide range of business law matters in Atlanta, Georgia, and the surrounding area. We know how important your business is to you and the amount of time that you have spent creating and building it. Our goal is to help you protect what you have built, and we do that by focusing on knowing you, your business, and your needs. Your business faces many challenges. You need to enforce your agreements; you need to protect your intellectual property, your confidential information and your trade secrets; you need to severe a relationship that has become toxic; you need to protect yourself from a frivolous claim; you need to protect your rights to your property-real and personal. We can evaluate your situation, develop a winning strategy calculated to achieve your goals, and can aggressively implement that strategy with efficiency and focus..